He has been awarded a Diploma in Otolaryngology & Head and Neck Surgery from the Royal College of Surgeons of England as well as completing the College’s membership examinations in 2011. His surgical training led to the completion of a PhD at Imperial College London. He has also been awarded a post graduate certificate in Aesthetic Medicine. 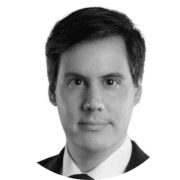 Dr Cetto is an Associate Member of the British College of Aesthetic Medicine, an honorary researcher at Imperial College London and senior clinical lecturer for Harley Academy.